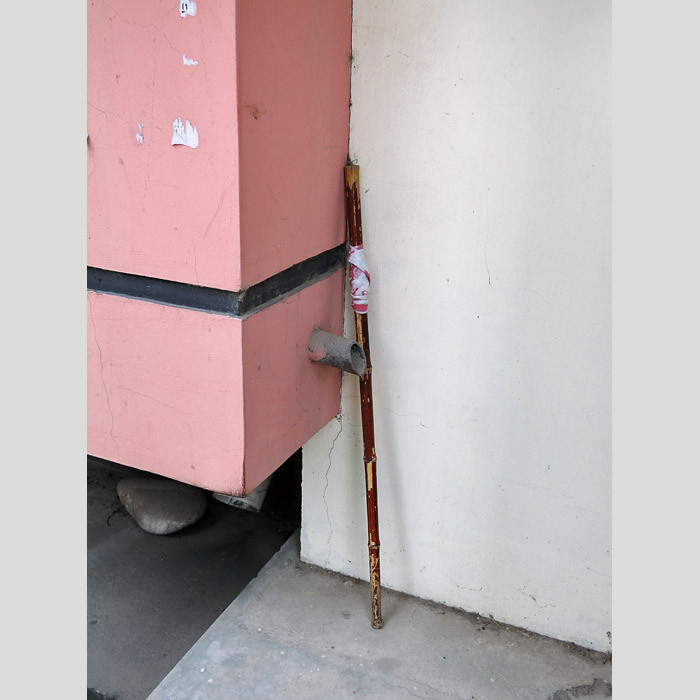 This is an interesting detail that I have seen a lot in Beijing. 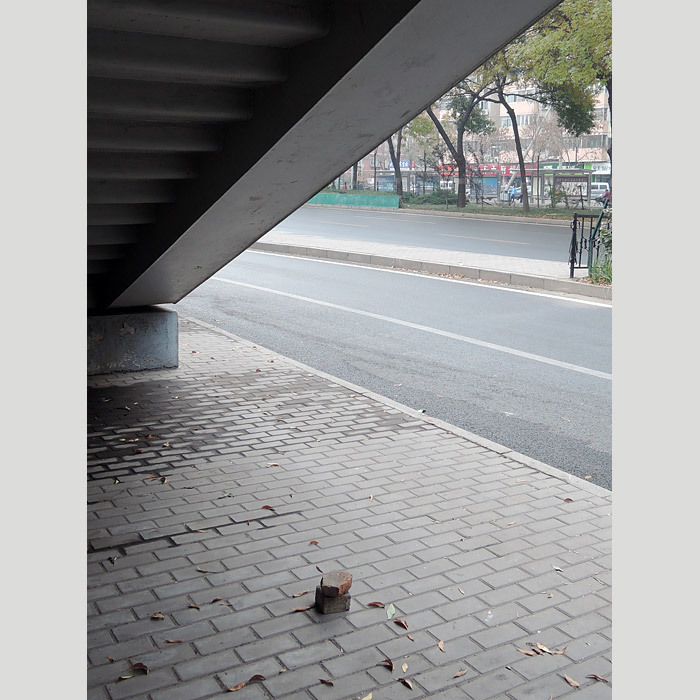 It is the clash between two politics, one that embraces modernity and civilized behavior (the campaigns for a “civilized Beijing” are ubiquitous in the city) and one more rigid and settled where money and influence rule. 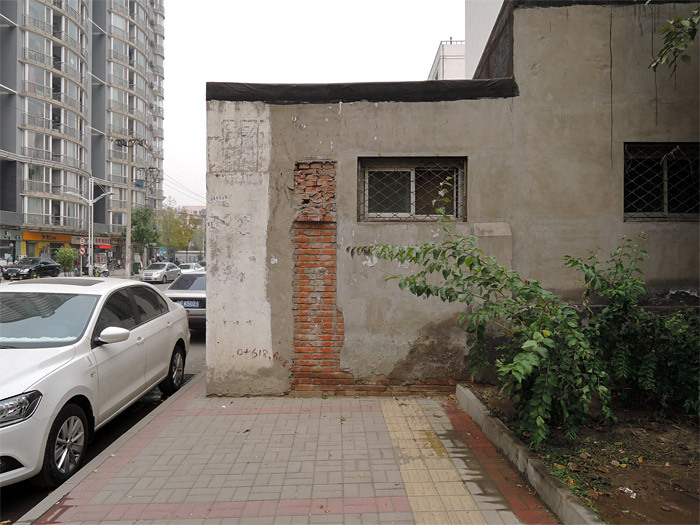 In this case, they re-did the pavement of the sidewalk with a very civilized yellow path for blind people, but then the “civilized politics” have come up against a wall. 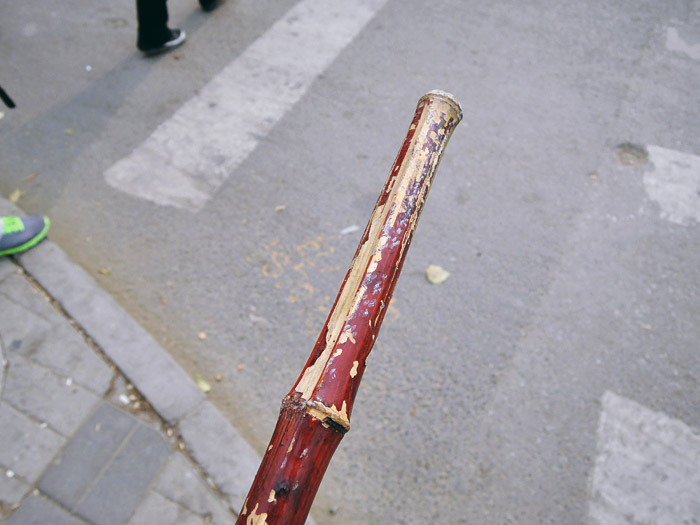 At 10h57, I found that painted bamboo stick on the floor. 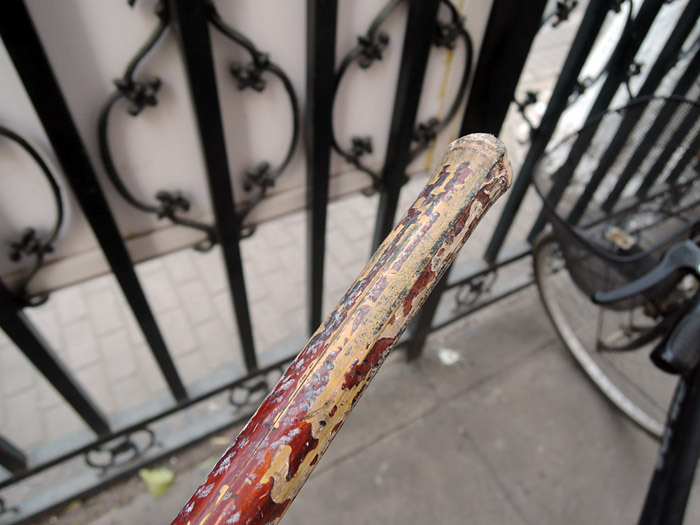 I automatically thought about my grandfather who, when we were going for an after dinner stroll on summer evenings, used to walk with his cane and who would systematically hit any fences on the way to make a sound. 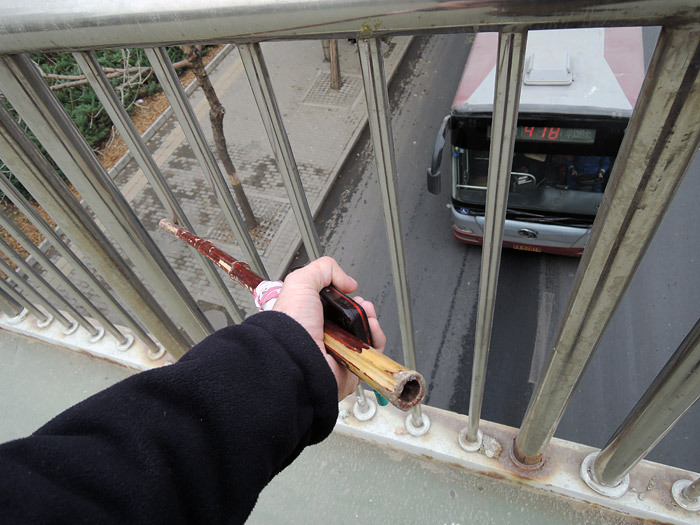 Starting from the point where I found the stick, I decided to do the same thing. 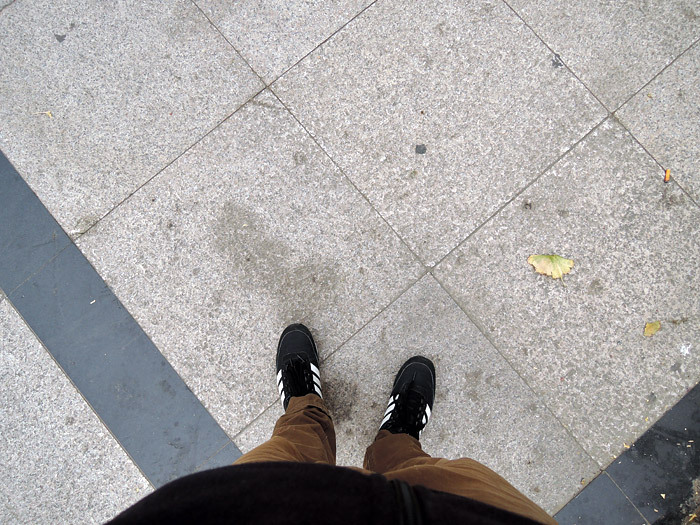 At 10h59 I started hitting every fences on my way recording the sounds with my phone. 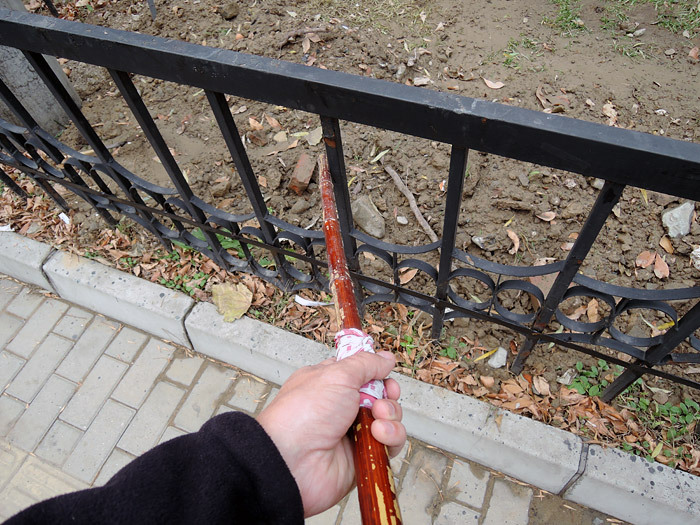 After a few hundred meters, the stick started to acquire some damages. I headed back home and hit fences for about an hour and fifteen minutes. Bricks stack, they are everywhere in Beijing. It’s an element that will not end up in the trash when the sweepers come. I think they may be used to keep a space; people will use them also to sit while eating lunch or waiting for a bus. 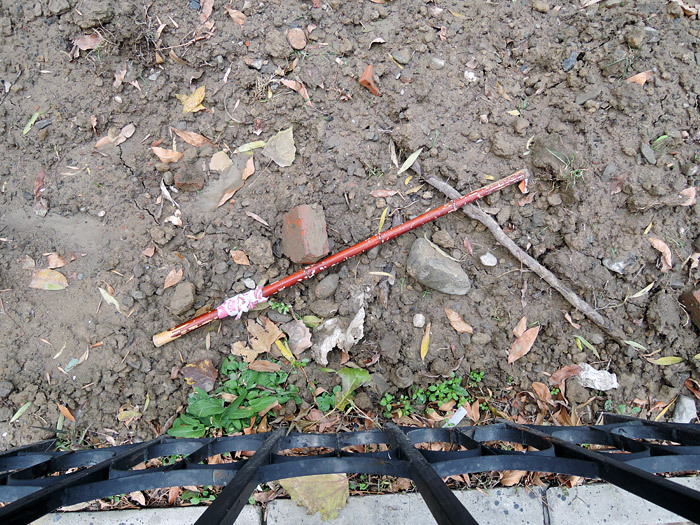 The stick after a few kilometers hitting fences. I left it outside in front of my doorway, it’s actually still in the same place today, one and a half months later. During this first walk, I had some tape, a measuring tape and chalk in my bag, just in case. 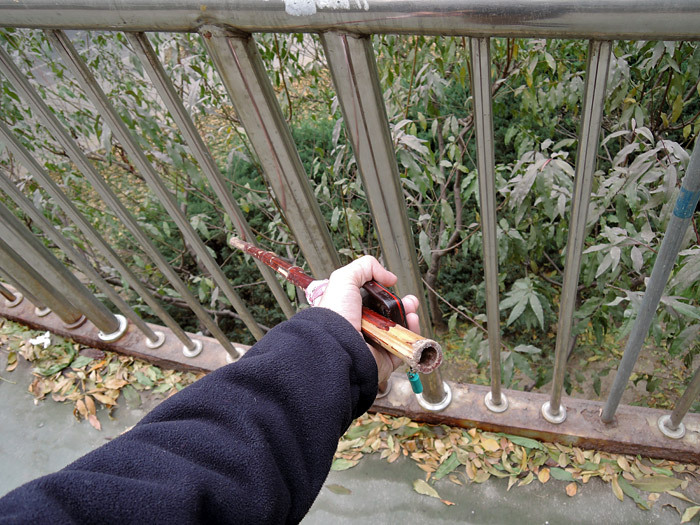 But I realized that it was more interesting to only use things I encountered on the way so I set rule #2, “only use material found during the walk”. Finally, I generated an audio file with all the fences hit sounds (press play to listen and enjoy!). 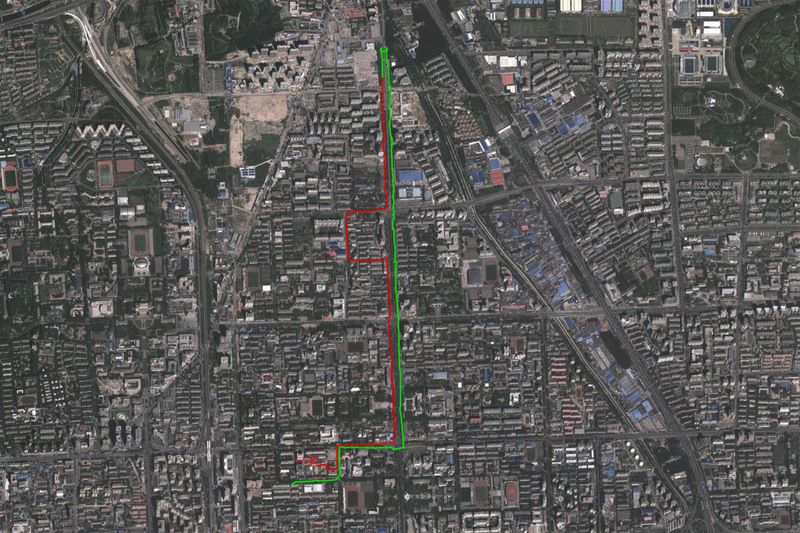 The GPS track record; the green line is the path where I was hitting fences, it’s 4,3 km. long (click on the map to make it bigger).